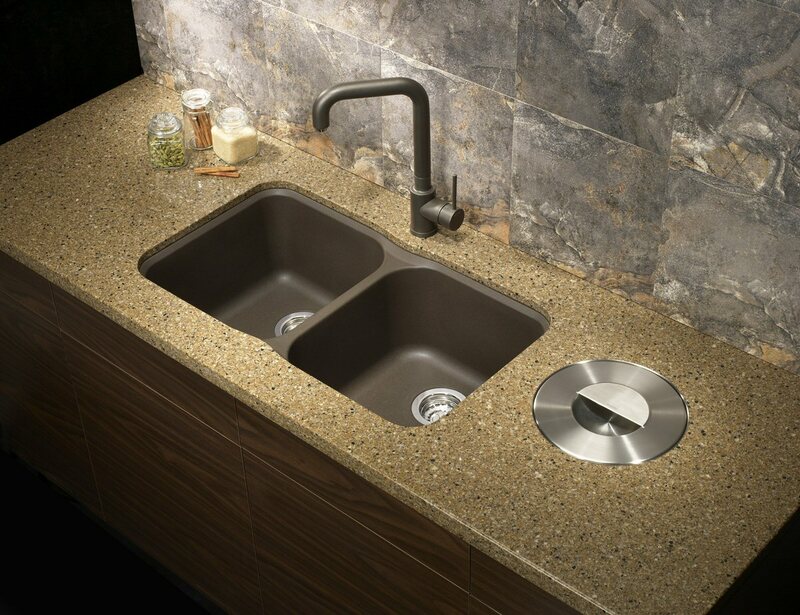 TORONTO, ONTARIO--(Marketwire - April 30, 2008) - Blanco Canada, a leading designer and manufacturer of premium kitchen sinks and custom workstations, is launching its award-winning SOLON organic waste collector across the country at design shows this spring. The Blanco SOLON is a stainless steel waste system made up of a bin, frame and lid that can be installed into the kitchen countertop. It offers a stylish and convenient way to collect organic waste saving cabinet space under the sink. Two models are available, one for top-mounting to laminate countertops and one designed to be under-mounted in granite or solid surface tops. "The SOLON can be installed close to the sink or anywhere in the kitchen for convenient collection of organic waste," says Alexandra Marshall, Director of Marketing with Blanco Canada. "It brings eco-friendly convenience to the kitchen work area without sacrificing style. And, it's ideal for replacing existing loose containers including those plastic waste containers some municipalities provide that fit awkwardly under our counters and take up too much space." Designed by Blanco's parent company in Oberderdingen, Germany, the SOLON has earned the company the prestigious international IF Design Award from the International Forum Design, one of the world's oldest design competitions. Criteria for the award include design quality, workmanship, innovation, environmental friendliness, functionality and ergonomics. "The SOLON was designed to complement our high-end handcrafted SteelArt line of sinks, however SOLON's elegant, minimalist design and discrete look makes it suitable for virtually any kitchen sink or room decor." 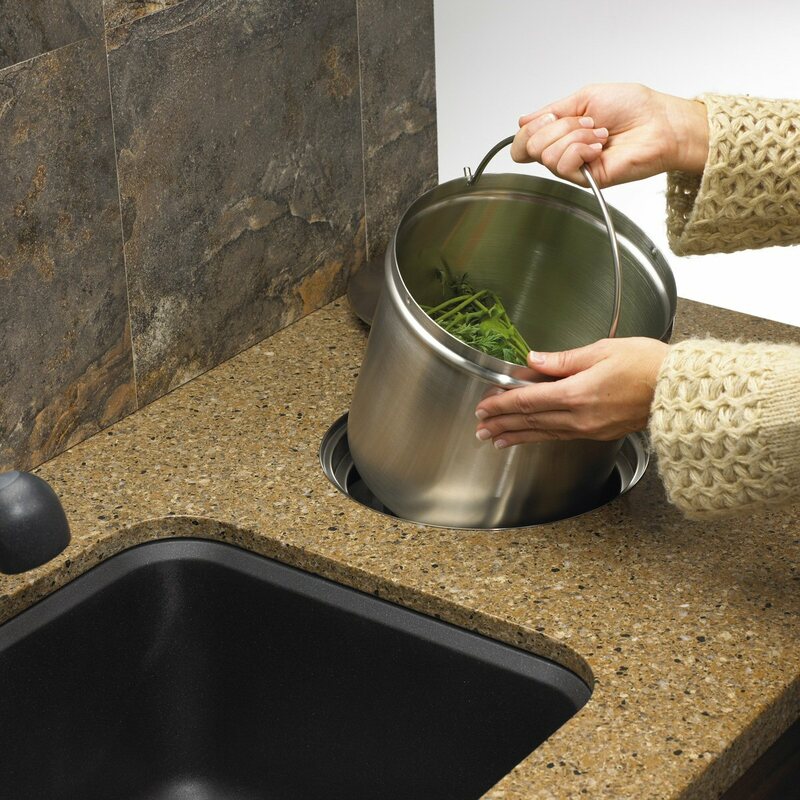 Made of premium stainless steel, the removable bin is easy to empty and clean and all parts are dishwasher-safe. The tight-fitting lid keeps odours contained and a deep recessed handle lets consumers easily lift out the bin, even with wet hands. The waste bin includes a cover to protect the rim and carrying handle from dirt. SOLON is available from selected kitchen showrooms and retail outlets. Visit blancocanada.com for a list of retailers. With more than 80 years of experience in kitchen workstation design and manufacturing, Blanco is recognized worldwide for design leadership and quality craftsmanship. From finely detailed, handcrafted SteelArt stainless steel sinks, and the natural warmth and beauty of Silgranit, to the elegant artistry of Blanco faucets, Blanco products are celebrated worldwide for their unmatched quality and timeless beauty. To view the product, please visit the following links: http://media3.marketwire.com/docs/SolonOrganicWasteCollector1.jpg, http://media3.marketwire.com/docs/SolonOrganicWasteCollector2.jpg.